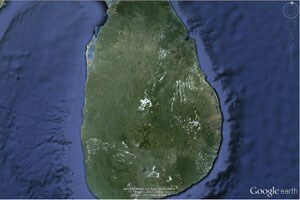 Google released their latest update of their virtual globe software Google Earth (Version 6.2). According to Google it should be the most beautiful Google Earth ever. It includes new Satellite images which are harmonized. Until now satellite images are taken during different times and weather conditions. Therefore transitions between images were dominant. With version 6.2 photos are rendered with a new technique, allowing smooth transitions between images. This can be seen in the desktop versions as well as on mobile version. Other new features of version 6.2 include an improved search interface and the possibility to share a specific place or view on our earth at Google+. The search line now includes auto complete as known from Google Maps. For routing Google includes routes for public transport and pedestrians and bikes. Google Earth can be downloaded for free for Windows, Linux and Mac.